Post-traumatic headache is a significant problem that persists for years after traumatic brain injury (TBI), data presented at the 2016 Annual Meeting of the American Headache Society indicate. While headache is the most frequent symptom following TBI, its natural progression post-injury and impact on daily functioning is often overlooked. In this study, Sylvia M. Lucas, MD, PhD, of the University of Washington Medical Center, and colleagues examined the frequency and impact of post-traumatic headache in 316 patients with prior moderate to severe TBI. 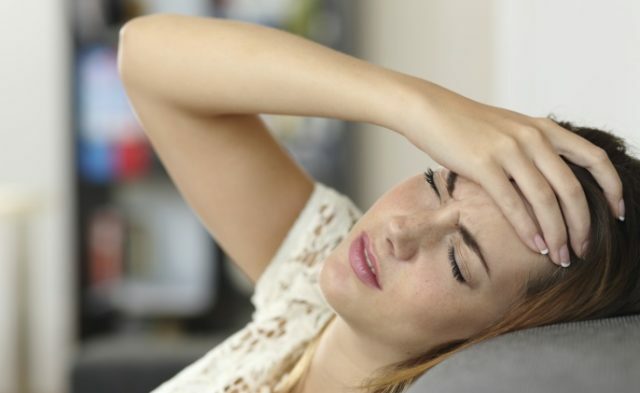 Patients were followed up with over 5 years to assess headache prevalence, frequency, classification, pain rating, and impact of new or worsening headache compared to pre-injury. The cohort was 72% male and 73% Caucasian, with an average age of 42 years. Fifty-five percent of the cohort was injured in motor vehicle crashes. Pre-injury headache was reported in 17% of participants. At baseline, 38% reported new or worse headache, with 37% reporting the same at 3 months, 33% at 6 months, 34% at 12 months, and 35% at 60 months. Migraine or probably migraine was the most common type of post-traumatic headache at all time points post-injury (59%). Average headache pain also remained high over the course of follow-up, ranging from 5.5 at baseline to 5.7 at 60 months post-injury. Post-traumatic headache had a significant impact on participants, with mean Headache Impact Test-6 (HIT-6) scores ranging from 57.1 at 3 months to 56.5 at 60 months. Fifty percent of participants reported weekly or daily headache at 3 months post-injury, however that number decreased to 36% at 60 months. Lucas S, Stacey A, Temkin N, Dikmen S, Bell KR, Hoffman J. Abstract OR04. Posttraumatic Headache Five Years After Traumatic Brain Injury. Presented at: 2016 American Headache Society Annual Meeting. June 9-12, 2016; San Diego, CA.